Who is a Candidate for Testicular Implant? Some men are born without a testicle or they lose a testicle for one reason or another during their life. Some men lose a testicle in childhood or adulthood as a result of testicular torsion. The testicle may also shrink and become essentially a small scar. Not as commonly, men may lose a testicle as a result of trauma or surgical complication such as during inguinal hernia repair. Other men may lose a testicle to testicular cancer, or as a result of treatment with orchiectomy for prostate cancer. Testis produces testosterone which is important to men’s general health. In general, one testicle can produce a sufficient amount of testosterone. When both testes are non-functioning or missing testosterone replacement therapy is usually of benefit. For men who are missing one or both testes, an option to have testicular implants surgically implanted is available. A testicular prosthesis is similar to breast implants that women get. Testicular implants are not required but they may improve the cosmetic appearance of the scrotum. Testicular implants come are saline-filled and offer good cosmetic results. Silicone testicular implants are also available. They also come in different sizes, custom fitted to the patient’s needs. 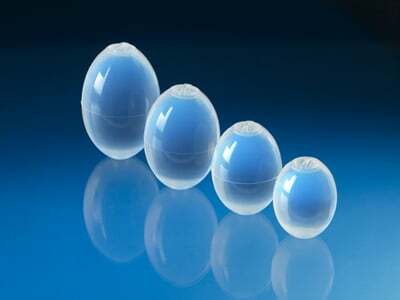 At New York Urology Specialists, we use the Coloplast Toroso testicular prosthesis. The prosthesis helps with restoring a more natural appearance of the scrotum in males missing one or both testicles. The weight, shape and soft texture of the testicular prosthesis are designed to resemble the natural anatomical testicle as much as possible. Choosing to have a prosthetic testicular implant is a personal choice. The testicular implant does not replace a functioning testicle; you may still need testosterone replacement if both testes are missing and it will not help with restoring fertility in men who experience infertility. A testicular prosthesis may help with self-esteem, self-confidence and overall psychological well being of the man. Studies show that most men are highly satisfied with testicular implants. As with any surgical implant, certain risks such as infection, bleeding and the need for surgical revision or removal/replacement exist. During your consultation, these will be discussed in greater detail. At New York Urology Specialists we offer testicular implants for men who need them. 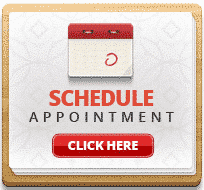 If you have any questions, schedule a consultation or if you need a second opinion, please contact us for an appointment. The testicular implant procedure is performed in a surgical center. The procedure takes less than 1 hour to perform and men go home shortly after the procedure. More than 80% of men do not require any pain medications or take Motrin after the procedure. Most men are able to return to work the next day. Men may return to the GYM a few days after the procedure. 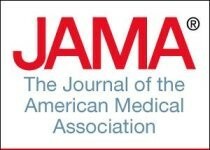 Most men may resume sexual activity 2 weeks after the procedure. Men can take a shower the same day after the procedure. The testicular prosthesis does not affect the ability to obtain erections, does not affect the ability to ejaculate. Most insurances including Cigna, Aetna, United Healthcare and Blue Cross plans cover the cost of testicular implants for men who had lost a testicle due to a medical condition such as testicular cancer, testicular torsion, and testicular trauma. The cost of testicular implants and surgery are covered for men who have a medical need, in other words, who experience complications of missing testicle such as poor self-esteem, depression, sadness and difficulty with intimate relationships as a result of a missing testicle. Testicular prosthesis comes in 4 sizes. The doctor will usually choose a size that is most similar to your other testicle. At New York Urology Specialists, we make it as safe as possible for patients to undergo testicular implant surgery. It is important that there is no existing infection in the scrotal or inguinal area prior to the procedure. If an infection is present, it needs to be treated prior to scheduling the procedure. This is especially applicable to patients with diabetes who have a high risk for fungal infection or jock itch in the scrotum or groin. For patients without pre-existing infection, no antibiotic treatment is necessary prior to arrival at the surgical center or our office. Patients are given a dose of antibiotics immediately prior to the procedure to minimize the risk of infection. If your procedure is performed in our office under local anesthesia, you may eat and drink normally before and after the procedure. If your procedure is performed under anesthesia in a surgical center or hospital, you may not eat or drink for at least 8 hours before the procedure. We do not advise shaving prior to the procedure. If there is a need to shave the scrotum, it will be performed during the procedure as this minimizes the risk of infection. Patients can take a shower normally before and after the procedure without restrictions. If you have any questions about testicular prosthesis treatment, schedule a consultation, contact us or call 1-(212) 204-6300. We have excellent reviews from patients and their partners. 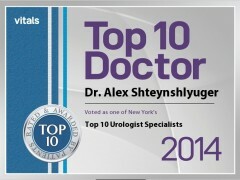 At New York Urology Specialists, our urologists are specially trained in the evaluation and treatment of testicular atrophy, and absent testis. We understand the challenges that absence of a testicle and ED create for our patients, their relationships and their self-esteem. We help you find a treatment for testicular replacement with a testicular implant that fits your needs, your lifestyle and your preferences. Urologists are doctors specializing in the treatment of men with erectile dysfunction and other sexual problems. By the virtue of our experience and skill, we are able to offer an effective treatment option for nearly every man who desires an effective treatment for ED. We offer medical and surgical treatment for erectile dysfunction.